Hooray for the fourth 3 dimensional experiment! The aim is to get to the centre of the maze, where some 3D(!) spinning text is waiting for you. The maze generation algorithm is not designed to have the goal in the centre of the maze, so you will find that there are multiple paths that you can take from the centre that lead to different parts of the maze. I will make a separate post about the maze generation algorithm I have written later. This experiment also uses orbitcontrols.js from here I think? Click and drag to move around, and scroll up / down to zoom. I have attempted to optimise it by only rendering a frame when the camera is actually moved or a texture is loaded too. The second thing that I have made in my endeavours to learn three.js is a simple catch the sphere game. Every time you get close to the orange sphere, it will move it to another random place in the room, add one to your score, and play a sound. I cheated a little bit on the collision detection... 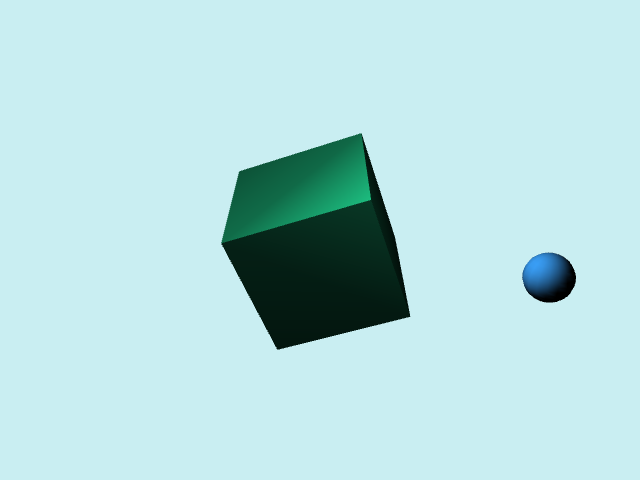 I really ought to look into writing a simple 3D collision detection library that uses boxes and spheres. The collision detection for the sphere is really done in 2D - I check only on the x and z axes to see if you are within a certain distance of the sphere since your y position doesn't change. For the bounding box, I simply check to make sure that your x and z co-ordinates aren't too big or too small. TL; DR: I am going to learn Three.js. I made this. 3D programming is much harder than 2D programming. You have to think about renderers and scenes and cameras and that extra dimension when specifying co-ordinates. I have wanted to break into the 3D world with my programming for some time, but every time I tried, I got confused. This post is about my first attempt: A spinning cube. I found this tutorial to start me off. Although it is a little bit outdated, it works fine for my purposes. 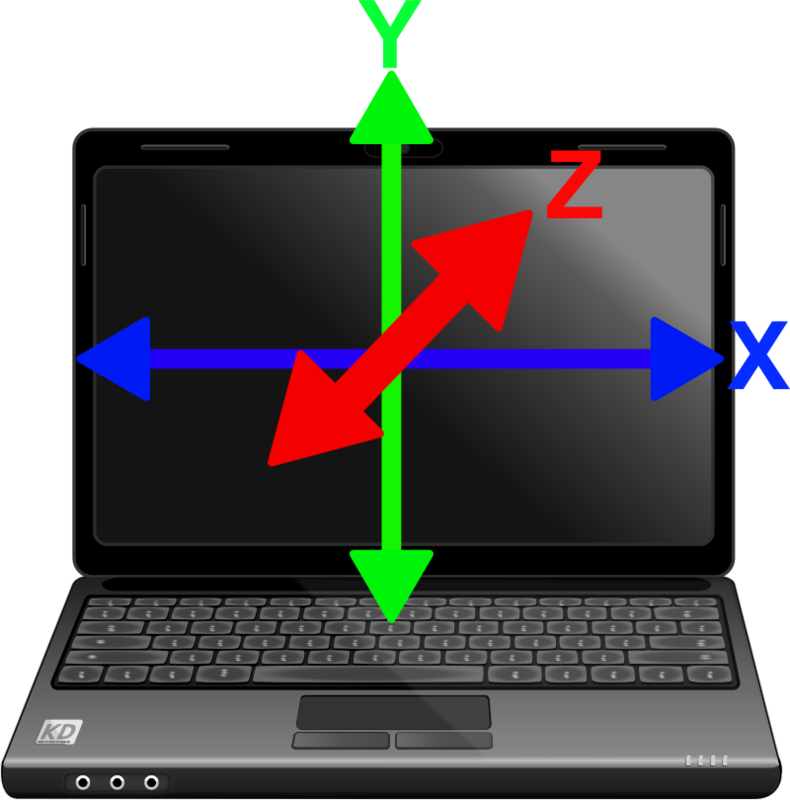 If you imagine your physical laptop screen as the 3D space that your stuff lives in, then the x co-ordinate is from side to side (left: negative, right: positive), the y co-ordinate goes up (positive) and down (negative), and the z co-ordinate goes in front and behind (coming out of your screen: positive, going into your screen: negative) of your screen. You can see the code in action that I have written here: one - spinning cube. If you can't see it, please check get.webgl.org. It will tell you whether your browser supports WebGL or not. Some (older?) chromebooks also have a buggy WebGL implementation if you use one of those.